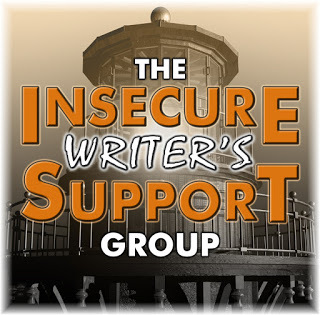 It's Insecure Writer's Support Group time again. The co-hosts for the October 3 posting of the IWSG are Dolorah @ Book Lover,Christopher D. Votey, Tanya Miranda, and Chemist Ken! My novel, No Room for Hondo, is a fictionalized account of the one major life event I've experienced to date. Major life events (or the one event as it were) have a huge role in my writing. Since my preferred genre is realistic fiction, I find that it's only from living through something that I can write about it at all. But then there's the issue of being helped through something by writing. I was writing excessively throughout my aforementioned life event. In recent months, I stumbled upon the term hypergraphia. Described as a "compulsion to write," hypergraphia describes one of the many symptoms I experienced after the birth of my daughter. When I woke in the night to take care of my infant, I'd have the most productive thoughts. All of my ideas seemed excellent (they weren't) and I knew that by morning I'd forget (that part is spot on). So I filled one of those composition notebooks in the middle of the night. My diary was getting a workout too. Even as mental health treatment progressed, the insomnia was bad. I had this odd dollar store journal with a yellow vinyl cover. I've hidden it away now because it pains me to read what I was thinking. One page features a real gem. In the margin, in a completely different print that doesn't resemble my handwriting, I wrote, "I didn't write this." Was I trying to write my own horror story? This is probably what that horrid psychologist was getting at when she told me, "At our next visit, we're going to have to explore whether or not writing is good for you." There never was a "next visit." I wasn't ready to explore the possibility that the one thing that made me feel like a competent human was actually hurting me. That therapist also spouted some stand-up comedian-esque one-liners like, "you're really good at being crazy!" Apparently, she ascribed to the theory that people can't be offended during a psychotic episode. And I didn't get the impression that she expected I would ever recover. Writing obviously wasn't good for me at that time, but I had a sense that it was a good thing overall. More than just being a positive thing I do, it is what I do. Being a writer is my identity. So writing has never helped me through any specific life event. It's just what I do during the all of it.